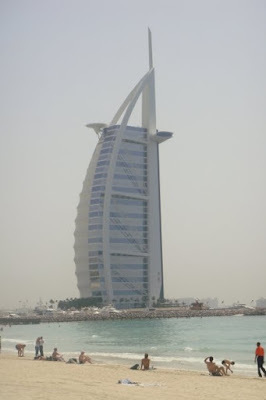 I couldn't believe that I was seeing the Burj Al Arab with my own two eyes! 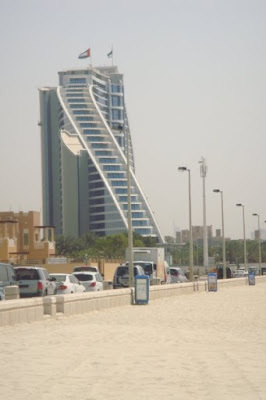 It stands high on a man-made island just off Jumeira Beach. This hotel is shaped like a wave.